This post discusses Windows file recovery and how to recover lost or deleted files under Windows using free recovery software. Computers like desktop, laptop and server enable users to store data for good on hard drives. Thus many users tend to store files on hard disk of computers. However, there are various threats that may damage users’ data. Users may have taken very long time to collect precious files of music, video, movies, photos, etc. so many of us can’t afford to lose them. If you are out of luck, and you do not have access to precious data which might be deleted or formatted. When your precious data gets lost, you need to perform Windows file recovery if your computer is running Windows system. First, you need to search for good Windows file recovery program, which is able to help you retrieve any formats of files. If you fail to find an effective app, then you will have to take long time to collect missing files again. As it is very difficult to collect all missing files within short period, so file recovery is the best solution for the moment, which can restore deleted, formatted and missing files quickly and easily. You need to trust current file recovery technology for Windows operating system. Advanced and mature technology introduces various application for Windows file recovery, and the recovery process is not hard anymore. The way of storing data used by file system formats like NTFS and Fat32 makes it possible for file recovery. And recovery principle has been explained in previous posts, so I’m not going to repeat that once more in this post. Let’s focus on free Windows file recovery software now, because it is the best solution foe file recovery Windows. This app is introduced for the purpose of retrieving missing files for free. 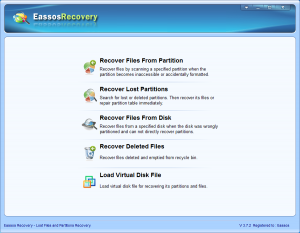 Eassos Recovery allows all users to recover their lost, formatted, deleted and damaged files on all Windows operating systems. This app is compatible with all Windows system, so users can run it on different devices as long as the device is working under Windows. 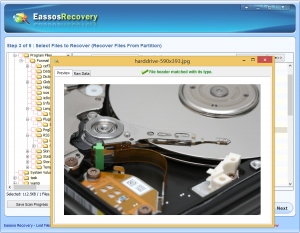 Eassos Recovery doesn’t set limitation on file formats users want to recover, which means it can retrieve all lost files that are not overwritten. It has been proved that overwritten files can never be recovered by any tool or experts, so we need to protect lost files from overwriting. File preview feature is built in the program, so users can preview recoverable files. How to perform Windows file recovery using free recovery software? Step 1: Download and install Eassos Recovery to Windows platform. If computer hard drive needs file recovery, we can install the recovery software on USB drives. 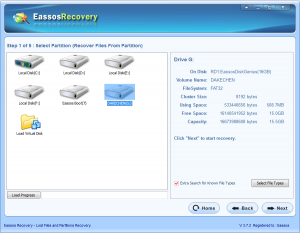 Step 2: Start Eassos Recovery and select recovery function for missing files. Step 3: Select device that is waiting for Windows file recovery and click “Next”. Step 4: Preview and recover. When step 3 is done, the recovery program will list all recoverable files which can be previewed and filtered. After find out all wanted files, we can copy and save them to a safe place. 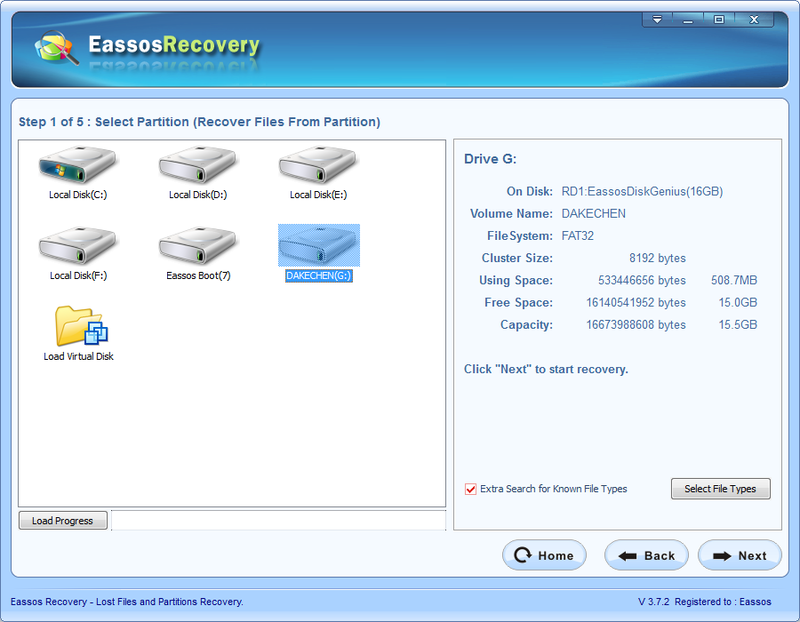 This entry was posted in Data Recovery and tagged free windows recovery software, Windows file recovery by EASSOS. Bookmark the permalink.